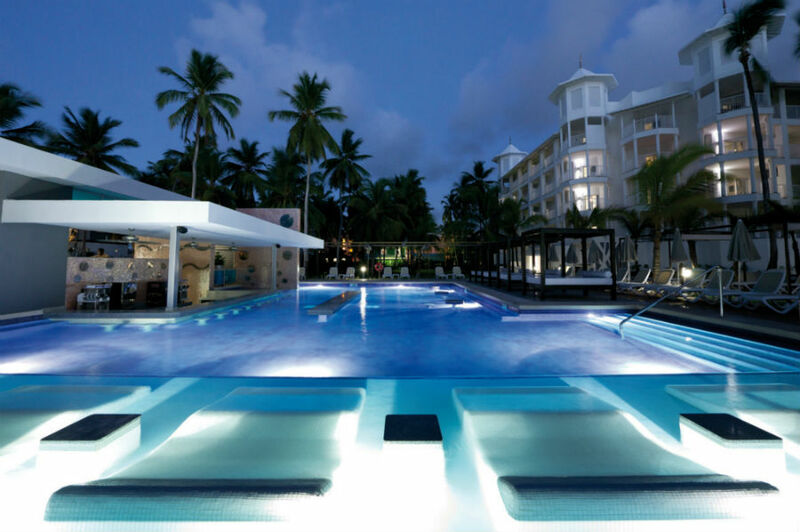 The Riu Palace Macao is located in a Riu Resorts complex on Arena Gorda in Punta Cana.¾There are five resorts on the property, and Riu Palace Macao is the only adults-only option. The resort features¾364 guest rooms with¾free minibar refreshments¾and flat-screen televisions. Rooms have private patios. Complimentary wireless Internet access keeps you connected, and satellite programming is available. There is also a spa, casino and nightclub on the property. Riu Palace Macao is all inclusive. Rates include meals and beverages at onsite dining establishments. Charges may be applied for dining at some restaurants, special dinners and dishes, some beverages, and other amenities. There are five restaurants and a coffee shop/cafe. From your room, you can also access 24-hour room service. Relax with a refreshing drink from a swim-up bar or one of the two bars/lounges. Additional amenities include a business center, dry cleaning/laundry services, and a 24-hour front desk. Free self parking is available onsite.